Imran read Law at Oxford as an undergraduate and postgraduate, coming top of the university on both occasions. He studied tax as part of both his BA and BCL degrees, winning prizes in all the tax exams he sat. He was called to the Bar in 2008. In 2014 he founded Field Court Tax Chambers with three colleagues, having previously practised in another set of tax chambers. Since commencing practice Imran has been involved in a range of domestic and international matters, acting for companies, private-clients and tax authorities. In addition to advisory work he is regularly involved in litigation. Indeed he first made oral submissions, shortly after commencing practice, before the Privy Council in Mauritius. In 2012 he was appointed to the Attorney-General’s C Panel, and in 2017 to the B Panel. Imran is often instructed in high-profile and high-value matters. By way of example, he has: (1) advised in relation to a multi-billion dollar settlement; (2) assisted a foreign company in a matter involving over £1 billion; (3) acted for an oil company in a foreign dispute; (4) appeared for HMRC in the “Littlewoods” compound interest litigation; and (5) been instructed by HMRC in relation to various partnership loss appeals (e.g. the “Icebreaker” litigation). From 2007-13 he taught tax part-time at the LSE, and from 2013-15 he was one of the tutors on the MA in Taxation at the IALS. Outside of work his interests include travelling, politics, reading, and cars. He is a Trustee at the Royal Grammar School (High Wycombe). Best known among private client tax specialists for his work on the ‘Icebreaker’ partnership scheme litigation, where he acted on behalf of the Revenue. He also has a strong taxpayer-side practice on residence and domicile matters, and on tax scheme litigation. Has a growing reputation for his handling of a range of domestic and international tax issues. He represents a wide array of clients including tax authorities, companies and private clients. He acts in litigation proceedings and also has a robust advisory practice. Possesses knowledge on international and domestic tax matters. He represents high-profile clients on litigious matters, and has appeared before domestic and foreign courts. Recent work: Represented HMRC in the Icebreaker case and on whether partnership members could claim tax relief as a result of partnership losses. Has a growing reputation for his handling of a range of domestic and international tax issues. He represents a wide array of clients in litigation and also has a robust advisory practice. Recent work: Led in a case concerning whether or not individual members of a partnership could claim tax relief in respect of disputed losses. 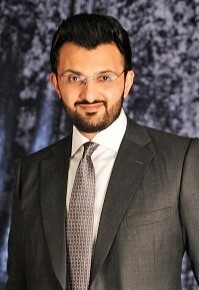 Imran Afzal is instructed by HMRC to appear in the upcoming Supreme Court hearing of the Littlewoods VAT case. Imran Afzal successfully represented HMRC in Acornwood LLP and others v HMRC, in which the First Tier Tribunal found against the “Icebreaker” tax avoidance scheme. Maintains a well-regarded private client practice advising both domestic and international clients. His capabilities stretch broadly across the practice area and he regularly acts in high-value and high-profile cases. A genuine tax all-rounder, with experience of acting for clients across the Tax Bar. He is comfortable handling both advisory and dispute resolution work in both the domestic and international contexts. Focuses on private client representation as part of a broad corporate and personal tax practice. He handles both advisory work and dispute resolution.